DairyNZ’s three ‘Hubs’ focus on the needs of dairy farmers specific to their regions: Upper North Island, Lower North Island and South Island. This month we talk to Lower NI Hub leader Rob Brazendale about his team’s work and achievements. Lower NI Hub leader, Rob Brazendale. What areas does the Lower NI Regional Team cover? Basically, everything south of Taupo- – Taranaki and Lower North Island (Stratford, Manawatu, Wairarapa, Wanganui, Horowhenua and Hawke’s Bay). Our staff are mainly based at Massey in Palmerston North and in Taranaki. We know the region well, living and working here. There’s me, 10 consulting officers (COs – one’s also a regional team leader), plus two administration staff, a farm business specialist, an animal husbandry specialist, a catchment engagement leader and a DairyConnect coordinator. Other DairyNZ staff also work out of our Massey and Taranaki offices, including DairyNZ’s effluent specialist (a national role). Under our new three-Hub regional structure, we’re betterequipped to achieve broader engagement with farmers in our region, offering them a wide range of expertise and additional COs. In Taranaki, we’re lifting the bar environmentally, proactively contacting Taranaki farmers to support them through effluent consent renewal processes. By taking a pride in the community, we’re extending our working relationship with Dairy Trust Taranaki (DTT). That includes a future farm focus on social and wellbeing aspects of farming families – and on the many smaller dairy farms here facing challenges including updating ageing infrastructure. For Lower NI, the Horizons Regional Council One Plan is a big focus, especially regarding nitrogen (N) leaching. Our regional plantain initiative (initially in the Tararua area, the Manawatu catchment and the Rangitikei catchment) aims to address this and capture its learnings so all regions can benefit. We’re also harnessing the region’s innovative capability, linking other organisations and agencies into our strategy’s six commitments. It’s about making the Dairy Tomorrow strategy relevant and alive at a regional level. 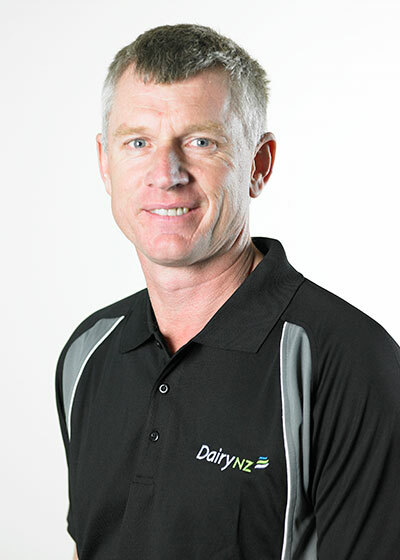 In DairyNZ’s most recent farmer discussion group survey, farmers rated the COs across our whole team as ‘outstandingly high’. They also commented that the groups are a great place to get practical on-farm tips. One farmer said: “If I miss one I’m not happy; always good topics coming out of it”. Another said: “It provides us with time away from the farm. Also, discussing every issue that’s going on with farming or other people, it just clears the air and releases some stress – plus you learn lots”. 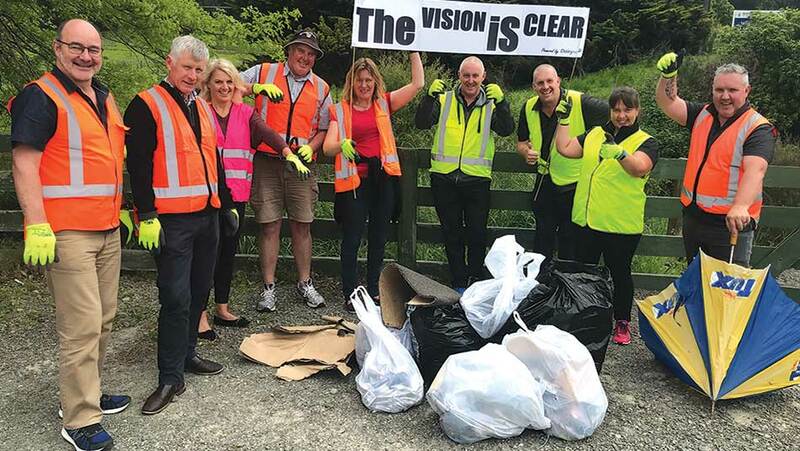 Right behind DairyNZ’s ‘The Vision is Clear’ campaign: the Lower North Island team picks up rubbish alongside the Tutira Stream behind Massey University, Palmerston North.